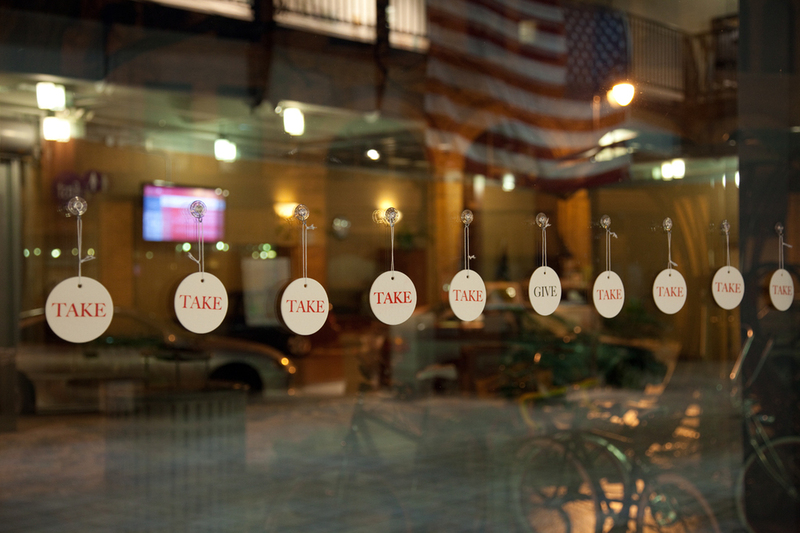 GIVE TAKE is a performance and social sculpture using 3 inch circular air fresheners of coconut scent that had the words, GIVE in black on one side and TAKE in red on the opposite. 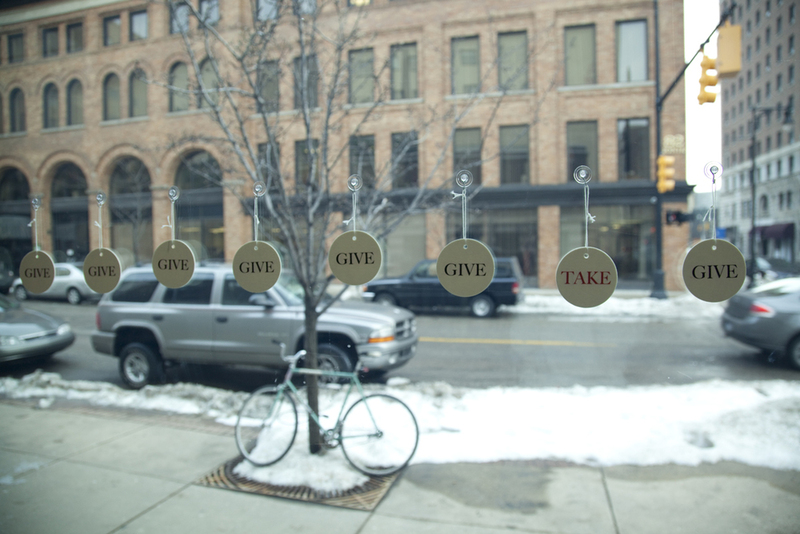 GIVE TAKE is a site specific performance and intervention created for Kendall College of Art and Design. The piece was created specifically to activate the interior and exterior of the glass atrium and adjoining window system in the student lounge area through sight, smell and interaction. After the interior freshening, I dawned a full length white down coat with embroidered sleeves reading GIVE on the right sleeve and TAKE on the left, echoing the sentiment of the air fresheners. I then proceeded to walk the street of downtown Grand Rapids and gave away the air fresheners to the individuals I encountered.